School’s meant to be a place of ingenuity. Learning by doing. But as 14-year-old Irving, Texas high schooler Ahmed Mohamed discovered on Monday morning, post-9/11 sensitivities, fueled by a growing caliphate abroad and a culture of violence at home, frequently lead fear to trump common sense. The Dallas Morning News reports that Ahmed, a teenager with an intense interest in radios and robotics who aspires to an engineer, built a digital clock Sunday night and brought it to MacArthur High, the school he attends, on Monday, September 14. Ahmed demonstrated the device – a pencil case containing a simple circuit board, power supply, digital display, and alarm buzzer – to his engineering adviser, who advised him not to show it to other teachers. Ahmed stowed the clock in his backpack before heading to class, but was forced to show it to his English teacher after it began beeping during a lesson. She confiscated the clock and, believing it to be an explosive, contacted the school administrator, who subsequently notified local law enforcement. A police officer pulled Ahmed out of sixth period and escorted him to the principal’s office, where he was interrogated and his belongings searched by five law enforcement officials. Ahmed recalled that one officer asked him why he was trying to make “a movie bomb,” and the principal threatened the teenager with suspension if he didn’t make a written statement. 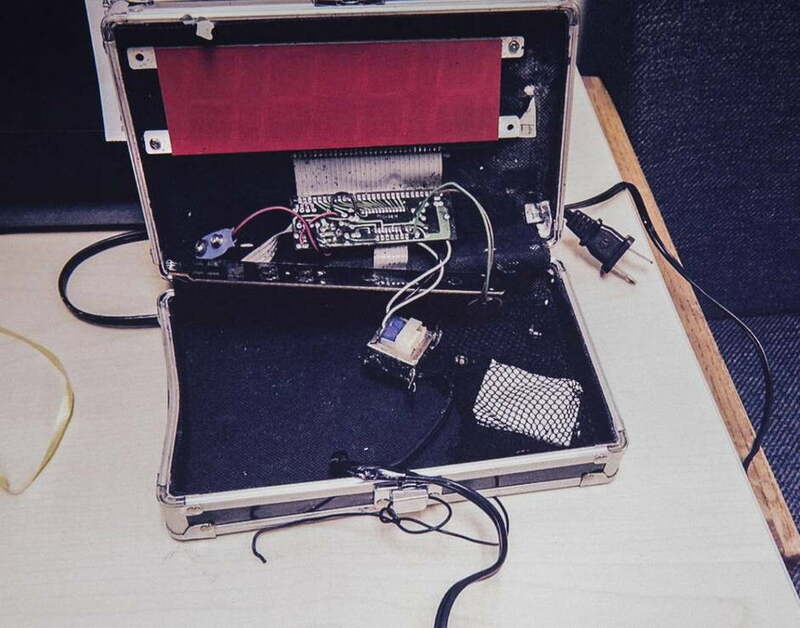 “[Ahmed] kept maintaining [the device] was a clock, but there was no explanation,” Irving Police Department spokesman James McLellan later said. The North Texas chapter of the Council on American-Islamic Relations is investigating Ahmed’s arrest as ethnically motivated. “This all raises a red flag for us,” Director Alia Salem told The Dallas Morning News. Mohamed Elhassan Mohamed, Ahmed’s father, believes unequivocally that his son was the victim of profiling. “Because his name is Mohamed and because of September 11th, I think [Ahmed] got mistreated,” he told the morning news. Ahmed’s story has generated international headlines and an outpouring of support on social media. On Twitter, the hashtags #IStandWithAhmed and #engineersforahmed have accumulated hundreds of thousands of collective tweets and were trending worldwide as of Wednesday. President Barack Obama tweeted an invitation to the White House’s Astronomy Night, an annual gathering of scientists, engineers, students, and teachers from astronomy and the space industry. Presidential hopeful Hillary Clinton followed suit with words of encouragement, as did U.S. Secretary of Education Arne Duncan. In a press conference Wednesday afternoon, Irving police announced the teenager would not be charged with possession of a hoax bomb. “The follow-up investigation revealed the device apparently was a homemade experiment, and there’s no evidence to support the perception he intended to create alarm,” said Boyd. Ahmed remains suspended from school until Thursday. At a press conference late Wednesday afternoon, Ahmed addressed a crowd of supporters in a brief appearance. The teenager, who said that he intends to transfer to another school and to take the President up on his offer to visit the White House, told the crowd in attendance that he plans help students in situations similar to his. “Don’t let people change who you are, even if there are consequences for it” he said.